Nemus has been working outside of Portugal for a long time. 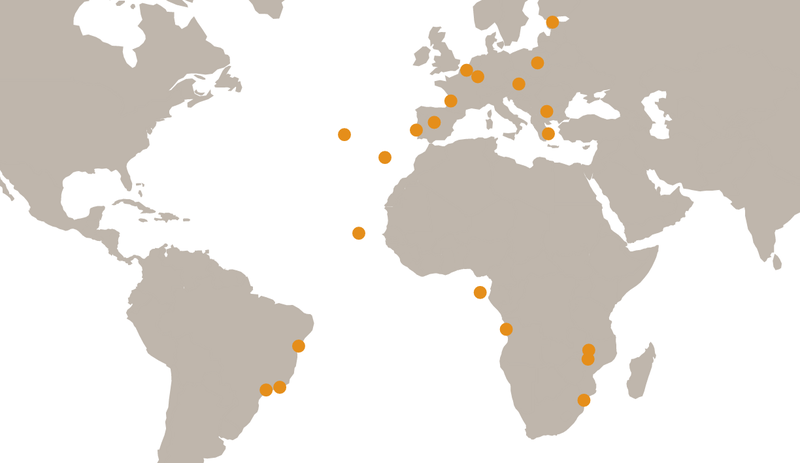 We are currently present in three continents, with ongoing projects in Europe, Africa and South America. Nemus is based in Lisbon, Portugal with a subsidiary in Brazil, at Salvador, in the State of Bahia. Through a network of partnerships, our company also has permanent representations in Luanda (Angola), Maputo (Mozambique), Rio de Janeiro and São Paulo (Brazil).